40 Simple Summer Crafts for Kids - Look! We're Learning! One of the things I love best about summer is that it’s such a relaxed time. While we still continue schooling, we do so without making lesson plans or trying to meet objectives. That makes summer a great time of year to do some crafting. 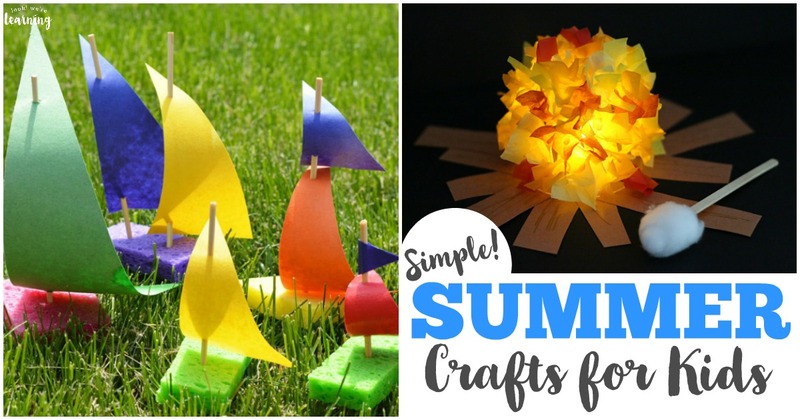 And these simple summer crafts for kids are perfect! 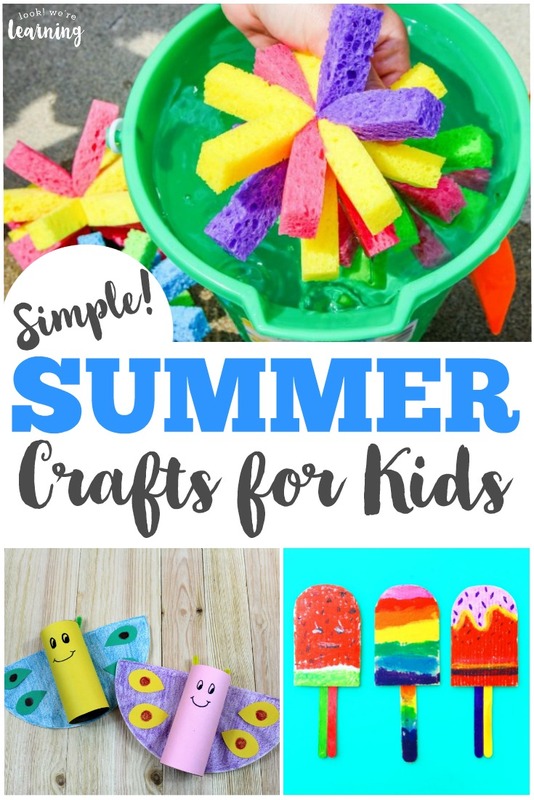 Take a look to find some easy summer crafts you’ll love to share with the kids! And, for more summer fun, don’t miss our list of 50 summer books to share during read-aloud time! See more simple summer crafts for kids on page 2!